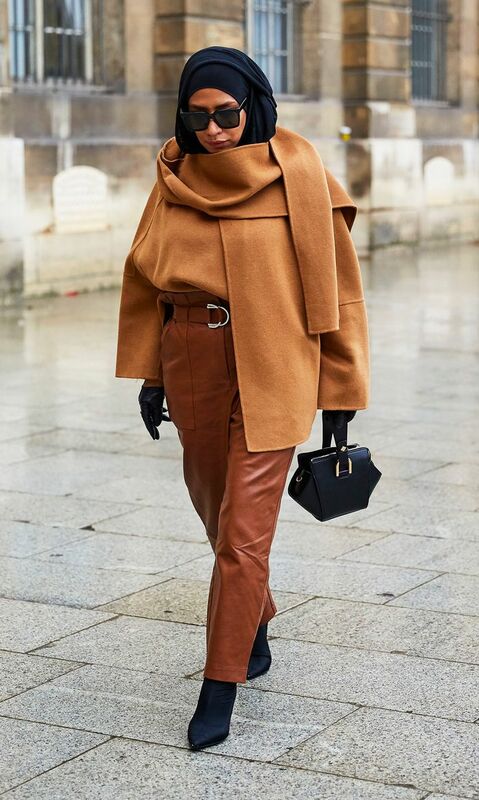 By no means am I a classicist when it comes to my personal taste, but sometimes I look at the rad street style coming out of any given fashion week and feel completely intimidated. A neon see-through trouser suit worn with sci-fi shades or a gigantic puffer and stacked heels might seem like a casual, throw-on combination to some, but I just don't think I can pull off a "lewk" like many of the industry's finest during the peak peacocking days of the year. I prefer my outfits to feel comfortable but relatively pulled-together, not entirely bland but not entirely embarrassing (for me) on the 97 bus either. So that's why I've parked some of the more outré ensembles hitting the streets of Paris right now to bring you the ones that are realistic and easy to adapt instead. From the guests attending the men's catwalks last week to the haute couture show-goers filtering into the city now, below you'll find a breed of outfits that will work for the glacial weather we're experiencing. They'll also feel relevant and exciting for 2019, so you can bookmark now and try later if that slanket is still surgically attached. Keep scrolling to see the best street style outfits from Paris. Next up, what we're buying now.